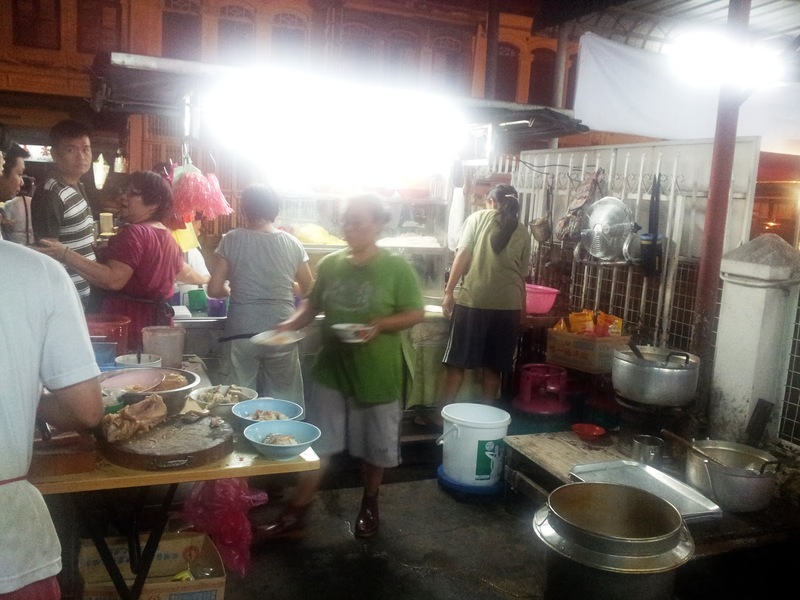 ONE OF THE MUST-EAT FOOD IF YOU"RE IN PENANG! Hokkien Mee. Prawn Noodles. Har Mee. 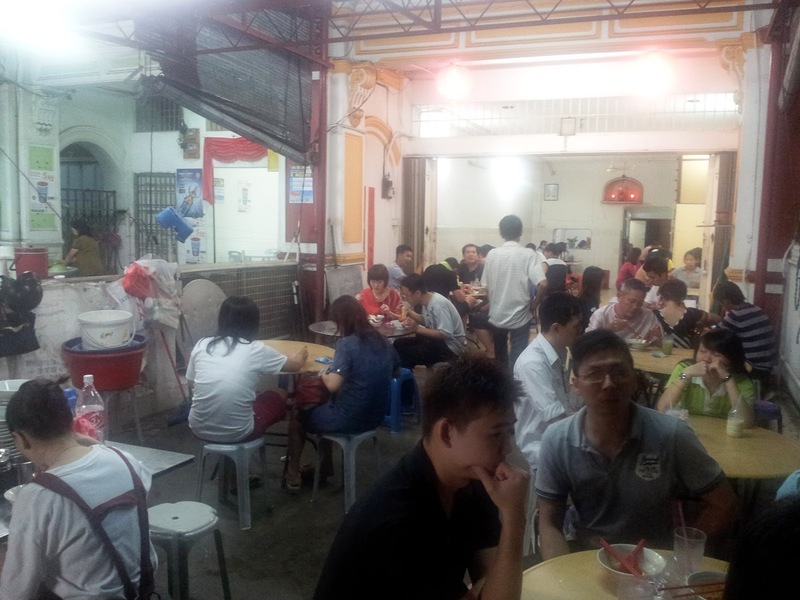 Anywhere in Penang, it is surely that you will see at least one Hokkien Mee stall in every coffeeshop. No kidding! 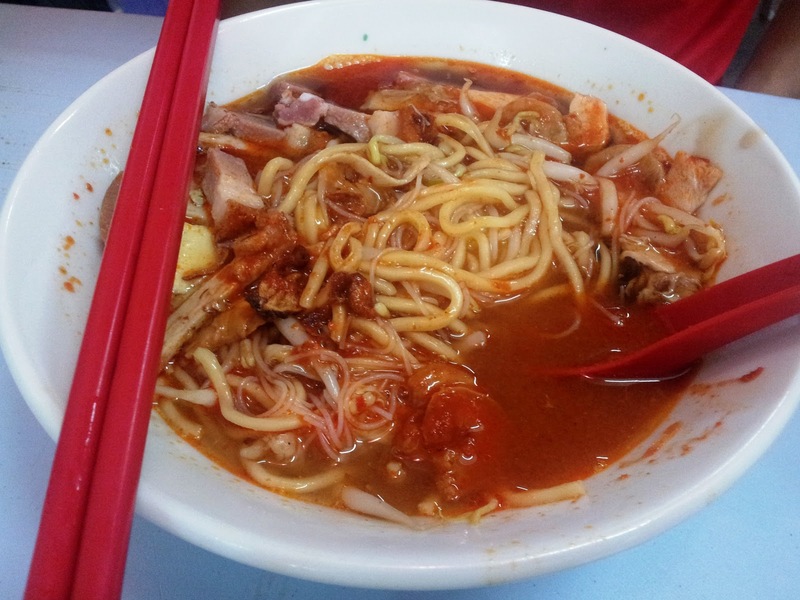 Who can not like Hokkien Mee, like seriouslyy??! So it's been a while ever since we ever crave for Hokkien Mee. She is usually the bigger fan of hokkien mee, and as for him, a fan also la but not as big. We were... err.. out.. we can't remember exactly where we went or what we did that night. But it's definitely somewhere in town. Cos we were hungry and she wanted to eat hokkien mee so immediately she knew where to go. He has never been to this place. She also not very sure which street as there's so many street at this area. At first, she said 'Goh Tiau Lor' aka Fifth Street but luckily he made the right turn and we found it without having to ask for direction! Heh. Lebuh Presgrave or a.k.a. 'Sah Tiau Lor' (which literally means third street). He says: Sui bak! Yum yum but fatttt! He says: The hokkien tastes okay but when its come together with the sui bak, it became ho chiak! 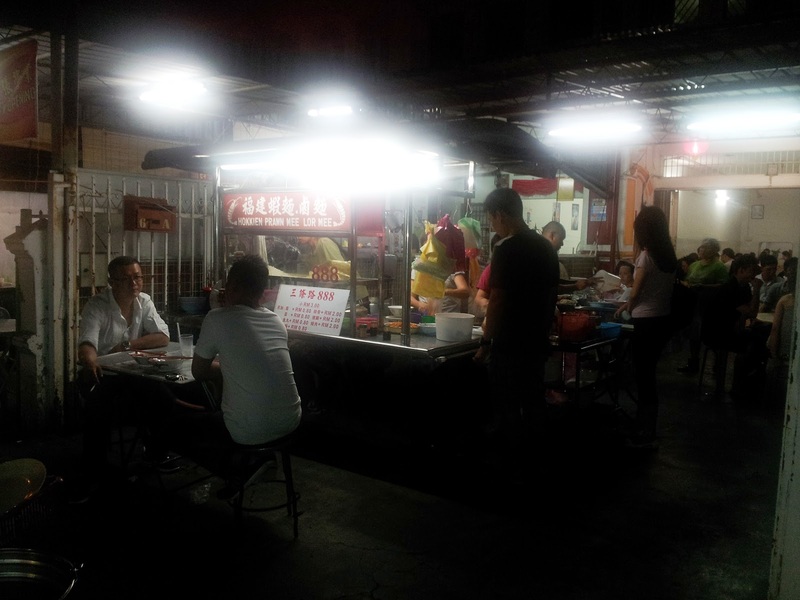 I only know two places that sells hokkien mee at night and this one certainly beats the other. =) People, give this a try! 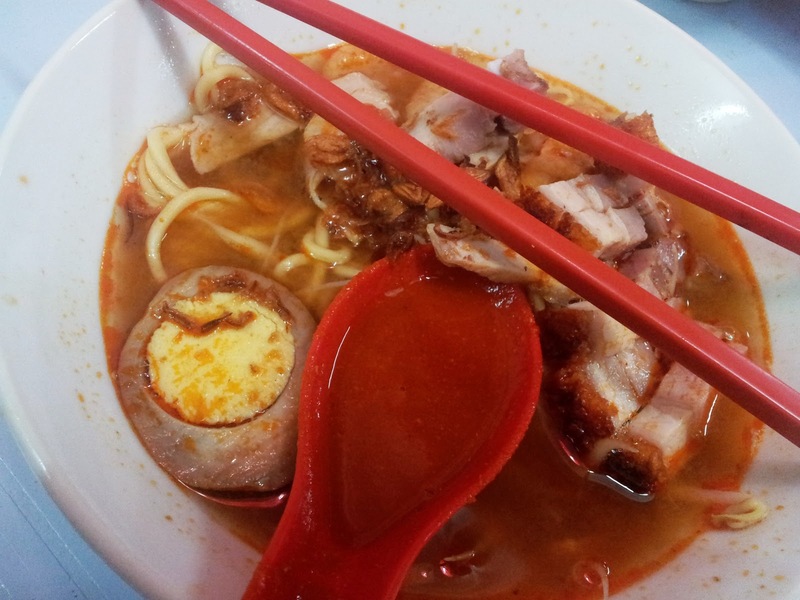 She says: Just like any ordinary hokkien mee you can find in Penang. Love that I have siu bak in my hokkien mee! It made it taste nicer! 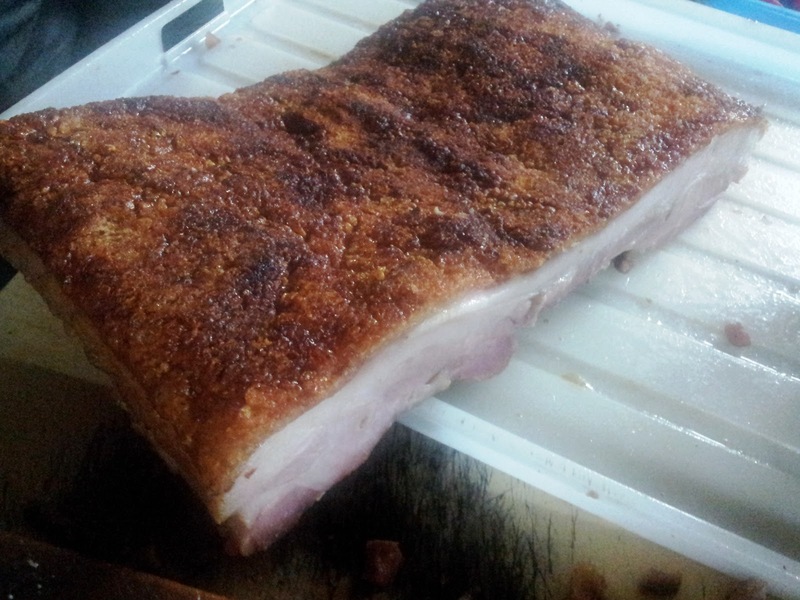 Who doesn't love roasted prok belly rightt!? It's so a bowl of such awesome goodness! The humble stall is placed right in front of a house-like-shop-lots. Crowded at around 10 plus to 11. Sah Tiau Lor's Hokkien Mee at Lebuh Presgrave, Penang.